Alex Smilansky, Mayku Co-Founder and CEO, writes for Virgin’s Entrepreneur series about starting Mayku. There’s a magic in making: to have an idea and manifest it, to form something out of nothing. It gives you a special kind of tingle and connects us with something deeply human. In the summer of 2015 my business partner, Benjamin Redford, and I started a company called Mayku. We want to help the world move from a centralised model of production to a distributed one. We believe that the power to create should be in the hands of everyday people, not just large companies with multi-million-dollar budgets. In our future, people are empowered to create and not just consume. We’ve seen it with photography, with music production and computing, and now we’re ushering in a revolution in the way we make things. So yes — people love making. However, the tools we use to do so have become more complex and harder to access. We think that’s a problem. In answer to this problem we’re creating a family of simple machines to make making as simple as baking. One day soon, you’ll be able to make almost anything right from your desktop. Our first machine is the FormBox. With it, you can make anything from lampshades to chocolates. 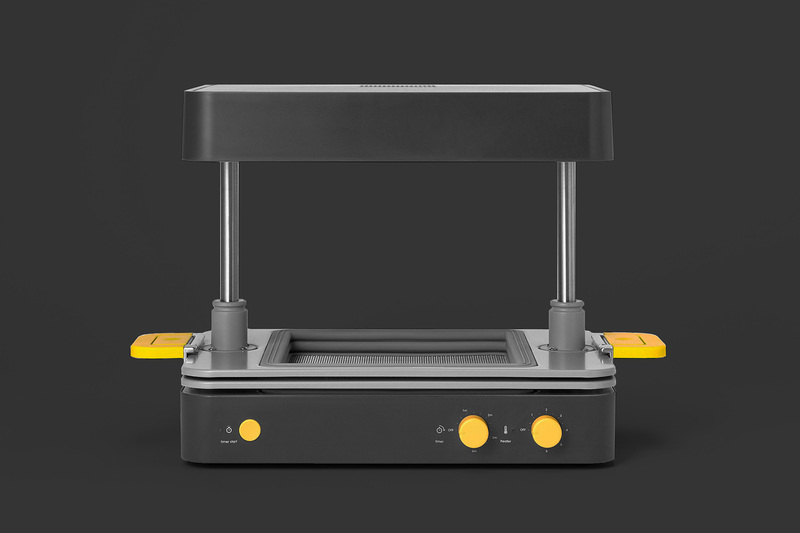 It’s a desktop vacuum former that brings your business to life. Powered by your household vacuum cleaner, it works with dozens of materials to help you turn your ideas into amazing products. If you look at what’s happened since the inception of the web and the democratisation of computing and communication technology — we’ve seen an extraordinary flourishing of innovation and a liberation of creativity. Yet the world of ‘physical stuff’ is still incredibly hard to make a mark on. Starting a hardware company today requires hundreds of thousands of dollars just to get to a proof of concept. To bring a physical product to market can cost millions. We believe that by making the tools of production accessible to everyday people, you can lower the barrier to entry to entrepreneurs with bright ideas — giving them the power to prototype rapidly and test things with customers before committing to production. Equally we want to open the door to artisanal businesses wanting to stay small. Today it’s very difficult to launch a product for a niche market because most factories have minimum order quantities of 1000+ units. We want to invigorate the burgeoning cottage industry that is emerging today, powered by platforms like Etsy. We see a future where local production thrives once more. 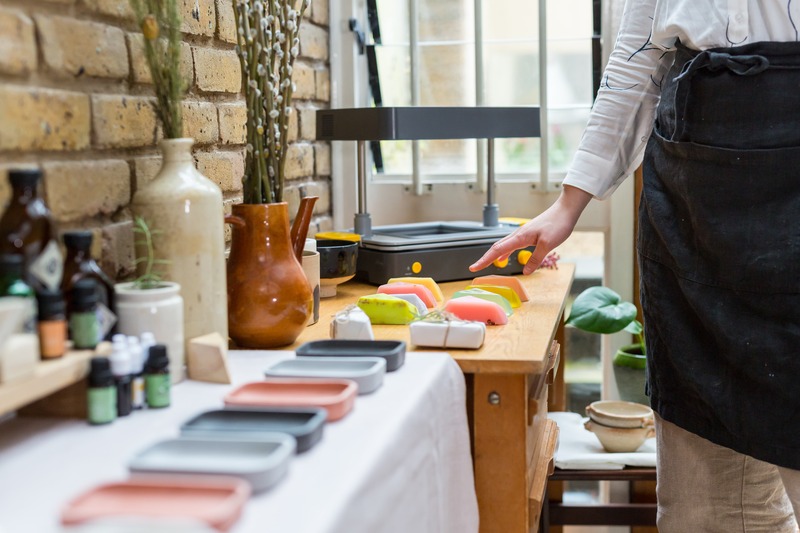 Where makers from all walks of life are free to turn their hobbies into real, flourishing businesses. We started our journey on Kickstarter where we were over 1000 per cent funded, raising $588,000 in 30 days. Over the last year we’ve had more than $1m in preorders and we now have a community of thousands all over the world making and sharing their creations. One day soon they’ll be part of a global network of millions — making what is needed, where it’s needed. We started Mayku because we think making can change the world. FormBox is available to buy in the US and the UK for the first time. Get yours on our website. We can’t wait to see what you make with it. This article was originally posted on July 24th 2018 by Virgin as part of their Entrepreneur series.